A fabulous weekend of racing was had at Rutland, concluding both the RS Aero UK Southern and Northern Circuits. 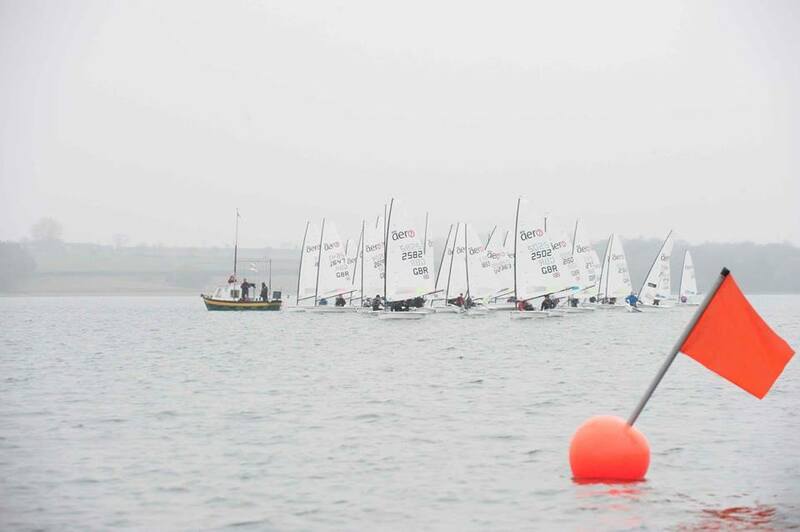 The varied and testing weekend gave a fitting finale to a busy year for the UK RS Aeros. 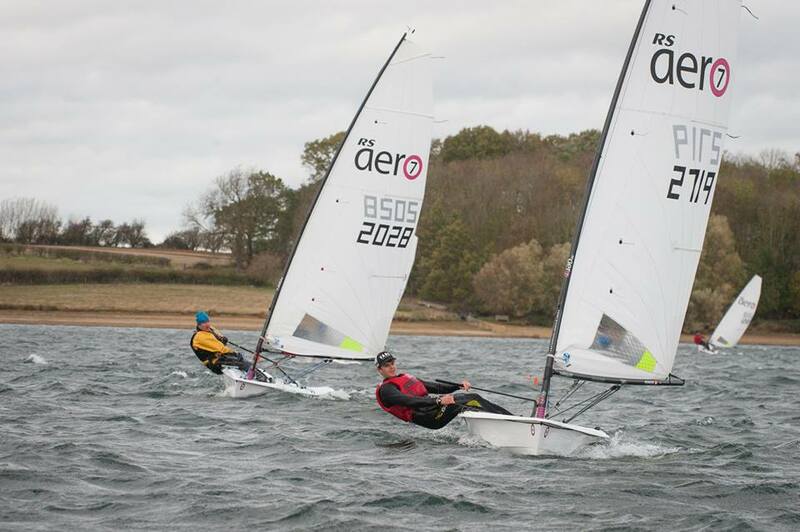 A very windy Pursuit Race on Saturday, a great Saturday night gathering and then three calmer PY fleet races for the RS Aeros on Sunday all provided a great mix. Craig Williamson (Staunton Harold) finished top RS Aero in the mass RS Classes pursuit race in his shiny new RS Aero 7. Steve Stewart (Yorkshire Dales) revelled in the strong gusts in his RS Aero 5 to take 2nd. 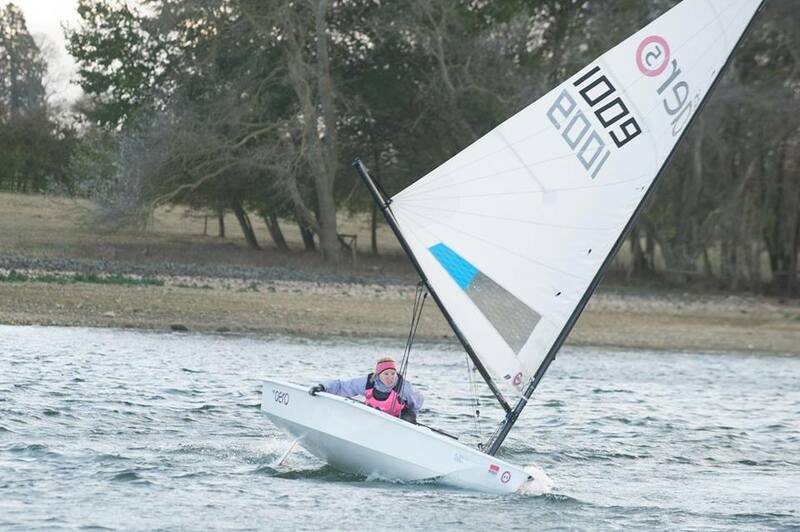 Sunday was a very different affair with light to medium breeze for the three PY races. The RS Aero 9s made their mark with Greg Bartlett (Starcross) nailing Race 1 from Chris Rust. 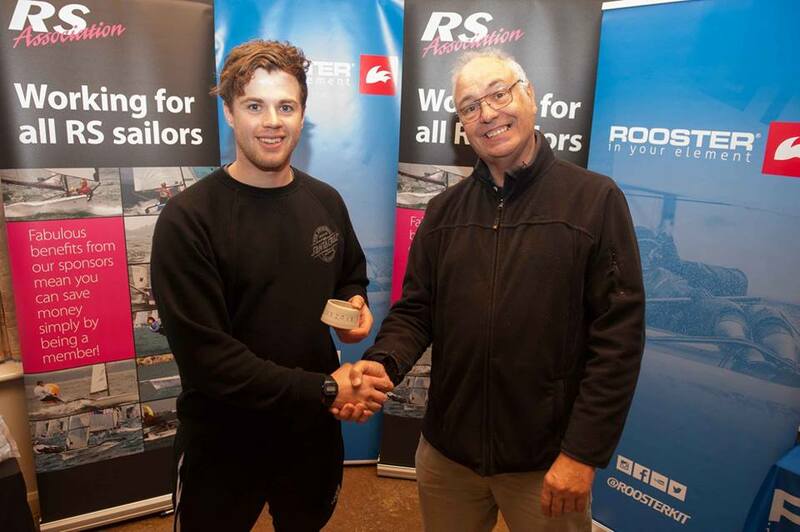 Marshall King (Royal St George, IRE) was sailing his first RS Aero event in a charter RS Aero provided by RS Sailing and took Race 2 from Chis Larr (Northampton). In Race 3 Jeff Davison (Island Barn) and Chis Larr were tied for 1st after PY. Ultimately Craig Williamson took the overall win on tie break from Marshall with Jeff taking 3rd. Chris Larr finished top RS Aero 9 in 4th and Steve Stewart led the RS Aero 5s in 8th. Top Lady was Emily Watson (Bowmoor). Just a few weeks to catch our breath now before the RS Aero UK Winter Series kicks off at the Bowmoor Bubble on 1st December followed by the Lymington Christmas Stadium racing at the top of the river on the 8th December. Full details on the RS Aero UK Events List . 3D Video by Darach Dinneen who flew in from Ireland to enjoy his first sail in an RS Aero 9 on a breezy day in a charter RS Aero provided by RS Sailing. Scroll around for all angles! Good skills for lighting up on a planing reach, he has done that manoeuvre before! (*but smoking kills, kids). Maybe we need an 'Extreme Ironing' RS Aero video competition for 2019? *The Pursuit Race is double points and non discardable. 1 discard from the other 3 races.